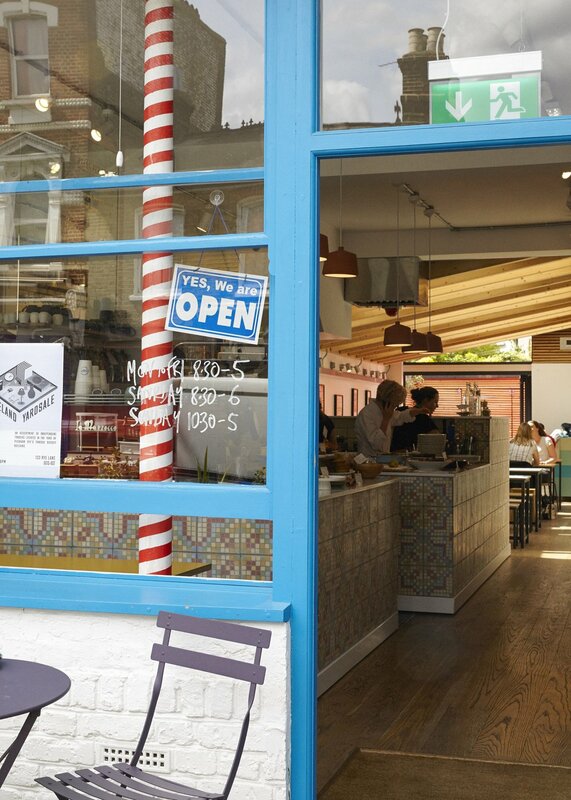 Trio is a children’s cafe, shop and workshop space in Peckham. 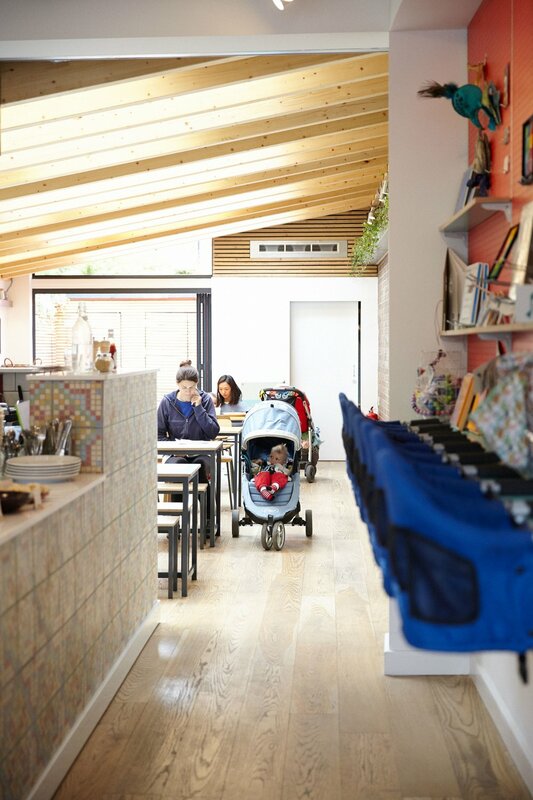 MW Architects were commissioned to convert the existing barbers shop into a large, bright, flexible space suitable for hosting toddler workshops combined with a spacious cafe for the enjoyment of parents and kids alike. Existing rear outbuildings and lean-tos were removed and a new mono pitch timber roof installed across the full width and most of the depth of the site. On one side a 4.5m brick wall existed and so this was retained, but a more polite boundary was required on the other side so the height was significantly reduced across the space. The impact of the mono pitch is dramatic but the lower ceiling height also helps to make the space comfortable to be in. While the floor area is large and flexible is doesn’t feel like a big hall. The exposed glulam beams also help to soften the space while also providing acoustic baffles and shading to the 4 large roof lights that straddle them. The voids between the beams provide space for artificial lamps and services for projectors, speakers or perhaps a glitterball. The architecture is simple and honest. 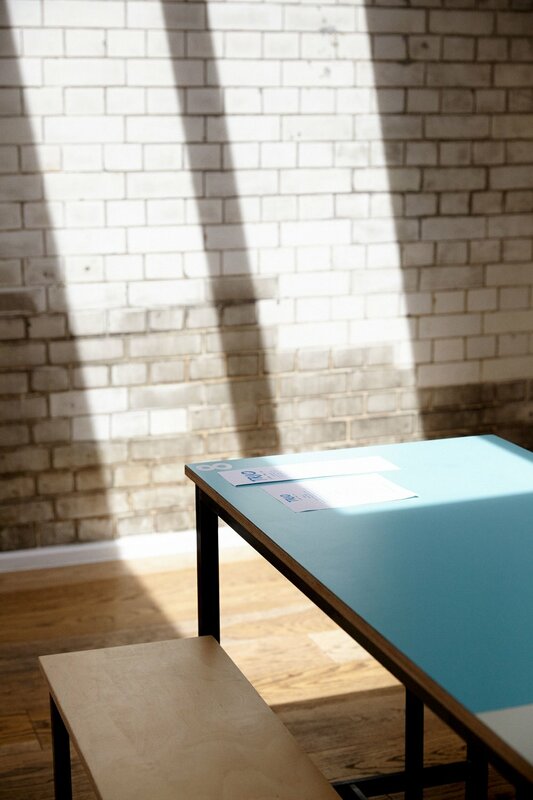 Exposed structure, new and old, sit comfortably with galvanised conduits and school style furniture. It is robust and adaptable, but also familiar and welcoming. 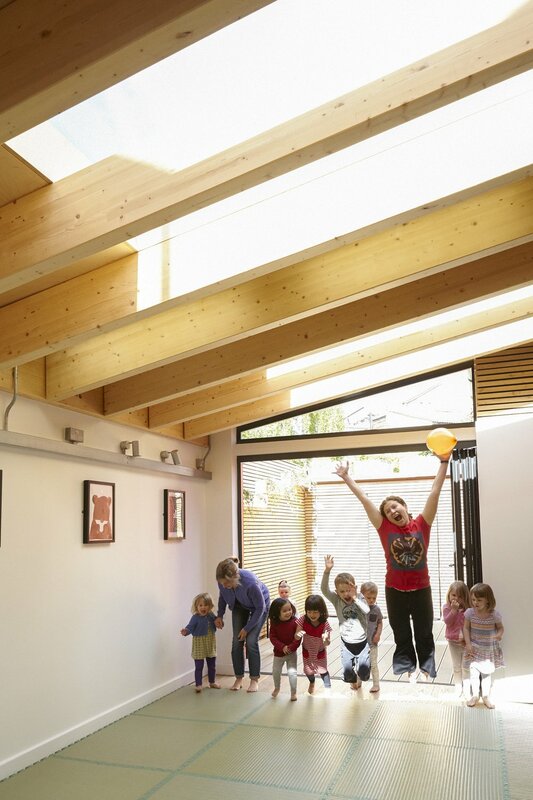 The space focuses on a rear courtyard which can be used in warmer months and provides storage.